Sites specific for Shizuishan City District and best reached from the two urban districts - Dawukou and Huinong, or Pingluo County Town are described below. The former location of the Han Dynasty City once built in this region, nearby Biangou Site and the Heishanzhi Site are all located West and North-West of Huinong (District) Border Town on the Yellow River. Sand Lake is a locally famous scenic area that combines the lush green scenes of this richly irrigated and fertile region with those of the sandy and barren desert beyond. With well-combined six scenes, namely “sand, water, reed, bird, mountain and lotus flower”, it forms beautiful landscape with its own characteristics. Although some landscapes resemble those at Zhongwei and Shapotou, the abundance of wild birds in this area make it especially attractive. There are some 660 hectares of lake and swamp area and 300 hectares of golden desert. In the middle of the lake is a small island, about one hectare in area where every year, hundreds of thousands of migratory birds come to rest, nest and breed. The Sha Hu or Sand Lake is a desert with a large lake and high sand dunes. It has scenic view but climbing up the sand dunes can be quite exasperating and can qualify as hard work as much as it can qualify as Fun. Bring your kids along for some Sandy Fun much alike as there can be had at the Shapotou Scenic Zone. Location: In Pingluo County, which is south-west of Shizuishan City, due North of Yinchuan near the border with Inner-Mongolia Autonomous Region. Opening Hours: 8:00 AM - 18:00 PM. Surface Area: Total 5,309.5 Square Kilometers (2050 square miles). Rural - 4,454 Square Kilometers. The Main Scenic Spots to visit in Shizuishan City Prefecture are the Sha Hu or Sand Lake, the Yuhuang Pavilion of Pingluo, Beiwudang Temple (Wudang Monastery) of Dawukou Town and fourth: the Jiucaigou Great Wall of China and Dashuigou Great Wall remnants. The 'City' itself is an administrative creation and consist of three regional Towns. Shizuishan Station lies at the South-West end of Town. Head out of the City Center Xingyuehu Hotel along Shanshui Avenue. Drive past the lake and the Taixi Coal preparation plant to end up just South of the Station (and Taixizhen). Along the North-Western Boundary of the Town of Dawukou lies a large railway emplacement which is supplies coal and other materials to surrounding factories. The Main Railroad connecting Shizuishan to other parts of China is the Baotou-Lanzhou Railway (Baolan for short) which came available in 1958 AD. Eversince Shizuishan has its very own Station on the Line, which is the only station in town. Recently, faster modes of transportation have come available in the form of the Yingzang Expressway, a modern highway running North to South nearby to the East and the Yinchuan Hedong National Airport. Travel distance from Dawukou District (Shizuishan) to Yinchuan Hedong Airport is 100 kilometers (62 miles). The Jingzang Expressway connectes directly North to Wuhai and Baotou (Inner-Mongolia AR), and south to Yinchuan and Ningxia Region beyond, the National Road G 110 leads North and South out of Dawukou District. National Road G 109 and the Shizuishan-Zhongning Expressway run to the south-east of the city and connect to all points in the City Prefecture, Ningxia and Inner Mongolia. From the Dawukou Bus Station buses depart in the direction of Yinchuan every few minutes. In addition direct airport buses to the Yinchuan Hedong Airport are also available from this station. For Tourists Buses depart from Dawukou Bus Station to the Sand Lake every an hour. The History of Shizuishan as a City is rather brief. Although the region has been inhabited by Han Chinese since at least the Han Dynasty (206 BC - 221 AD), the location of Shizuishan on the extreme Northern edge of the Ningxia Yellow River plain made it an unlikely location for early settlement. In fact, the first structures to be built at or near Shizuishan probably were mud defensive works, erected by early armies in an attempt to hold a defensive line along the edge of the Gobi Desert, flanked by the impressive heights of the Helan Shan Range. The first town in the Ningxia Plain appeared during the Q'In Dynasty Era, however the settelements were lost. During the Han Dynasty when Chinese Civilization finally gained and held a foothold in this fertile region the 'city' was called Shizuizi. During the Qing Dynasty Era, in the year 1731 AD during the Reign of the Qianlong Emperor, the town of Pingluo became the epicenter of the magnitude 8.6 Earthquake which levelled towns in the Region, breeched the Great Wall at Dawukou, destroyed most of Yinchuan and was felt as far away as Beijing, over 900 kilometers away. Long after the establishment of the current Peoples' Republic of China the Ningxia Hui Autonomous Region was established as the main autonomous ethnic home of Hui People. Two years later the name of Shizuishan was chosen as the name of the new City Province administrative unit. The new name Shizuishan referrers to the rocky foothills where the Helan Mountains meets the Yellow River which are formed in the shapes of mouths and tongues. In 1975 the status of Shizuishan was reversed to the rank of City Prefecture, which it still is today. 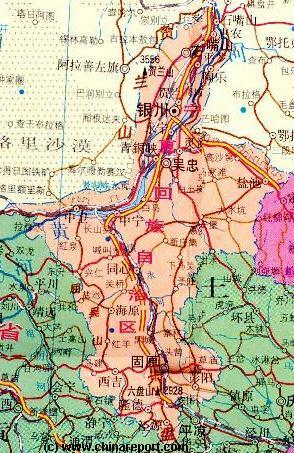 Initially it was divided into three districts - Dawukou district, Shibeichengxinmaozuishan district and Shitanjing district and three counties - Pingluo county, Huinong County and Taole County, the latter named after the river flowing through it to add to the Yellow River as a tributary. However today only the administrative distinction between Dawukou (District), Huinong (District) and Pingluo (County) Town remains. The economy of Shizuishan is developing fast. In the year 2007 AD the local economy grew by nearly 15 %. Shizuishan's pillar industries are energy chemicals - meaning the abundant coal deposits, new materials and equipment manufacturing. There are four industrial zones in Shizuishan, namely Shizuishan Economic development Zone, Shizuishan Industrial Park, Pingluo Industrial Park and Shizuishan Circular Economy Trial Area. In 2007, the four industrial zones generated value-added industrial output of RMB 6.3 billion, contributing 64.8% to the city's total. There are three listed companies located in Shizuishan. Ningxia Yinglite Chemicals, a chemical manufacturer, Ningxia Orient Tantalum Industry, which is principally engaged in the smelting and processing of precious metals (a very polluting industry) Ning Xia Heng Li Steel Wire Rope, which focuses on manufacture of steel wire products and metal recycling. Although Shizuishan is rich in farms and irrigated lands, all three towns are gritty, dusty, shabby and industrial with few charms. Especially Dawukou is heavily polluted and contantly covered in a thick blue gray haze eminating from industries immediately adjacent to local housing. No doubt the smeltery has polluted ground waters and local soil. The service sector contributes about 25.2% to the local economy. In the year 2007, no less than 1.2 million tourists visited Shizuishan City Prefecture, a rise of over 20%. Still, not may foreign tourists will visit this remote corner of Ningxia, except perhaps for the Sand Lake Scenic Zone which is internationally famous for its wildlife and ecological importance in the wider regions. Shizuishan City is not only known for its natural beauties. Far from it. 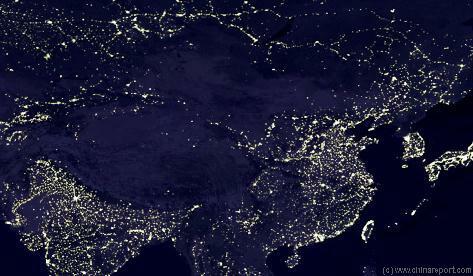 In 2005 the local environment had been so devastated by emissions from industries that (even) the Chinese government blacklisted it for its pollution problem. Although some measures were taken and the worst polluting industrial plants were shut down most of the damage has already been done. Many locals suffer from chronic health-problems, ground waters are unsafe to drink and industries still go largely unchecked in their activities. Coal Industries are nationally vital, and without heavy industry there would hardly be a local economy to speak of. Since end of 2009 the country's biggest on-grid solar power project with electricity capacity of 10 megawatts is operational in Shizuishan. A Culinary speciality of Dawukou is the 'matrimony vine'. The vines are edible raw or cooked. On November the 22nd of 2009 Shizuishan was rocked by a 4.8 magnitude earthquake, the strongest since the Sichuan Earthquake of 2007. The most dramatic incident to take place in Shizuishan in recent memory occured in October of 2009 when a Coal Mine blast accident killed 14 miners at a local plant. The Weather in Shizuishan is the same as that in Yinchuan. Generally speaking, Shizuishan enjoys a temperate, dry continental climate with plenty of sunshine, a sandy wind and a large temperature difference between day and night. The average annual temperature is 5-9 Celsius, while the average annual precipitation is 200-600 mm. Winters are long and Cold with a late spring. Summers are searing Hot with often cold nights. Read More: 'Yinchuan - Introduction - Main Page'. Full Google Map of Shizuishan City Prefecture, focussed on Dawukou 'Town' or District. There are no special details to be mentioned of the Hui, Chaoxian (Koreans), Mongolian and other ethnic groups residing in Shizuishan. According to the local Government, Shizuishan is a multi-cultural city with 24 ethnic minority groups, including Hui, Mongolians and Tibetans. They live together harmoniously and retain their cultural legacy and life practices. For full information read: 'Ethnic Minorities of Ningxia Hui Autonomous Region'. Another site to be mentioned in Shizuishan Prefecture is a place known as Beiwudang National Park. Beiwudang Park lies at foot of the Helan Mountains and is made up of various elements. For most (foreign) tourist the core attraction of this park is the large Beiwudang Temple complex, but apart from this there is the opportunity to enjoy the forest or valley landscapes, as well as chances to admire the spectacular geological formations and tree fossils or 'petrified forest' found in this corner of Ningxia. Beiwudang Temple is fairly large, well-maintained and active Buddhist Temple at the Foot of Helan Shan. It has an elongated shape with a two storey front gate, a spacious rectangular front court, and a central group of Halls behind of which is a smaller squared courtyard, at the center of which stands a five story stone pagoda. Atop the Pagoda tower sits a stone domed roof with an impressive plain stone ball-shaped pinnacle. Each floor has a door at each direction of the compass and 8 small windows constructed in an Islamic or Indian style with their arches pointed atop in the middle line. The other decorations inside the temple are all of classical Chinese style. The geological park experience mainly means hiking along trails and clambering jagged rocks of grotesque shapes, sheer precipices and views of perilous peaks and deserted wastelands. This is a great but sometimes exhausting experience. the local economy but have changed the entire experience of a visit. Having taken off as a Nationally celebrated tourist spot in the last few years Beiwudang Park has seen the construction of a Monument somewhere in the Forest section. Then there are the new 'Cultural Museum', the 'Nature Village', the nearly obligatory 'Folk Custom Village' and completely unexpected; a large court which is used for automobile races. Needless to say, not all these commercial enterprises fit well with the original ecological theme of the Park nor help the preserve an 'authentic' feeling. Nearby a 'restored section' of the Great Wall of China was opened, however there is no historical mention of a specific wall section here and the 'Great Wall' can best be seen as a fraudulent claim in order to boost revenue. The most interesting and fascinating times to visit Beiwudang Temple must be in September and October when the two main Temple Festivals are held. These are, first and foremost the 'Double Ninth' Uphill Festival held on September the 9Th. 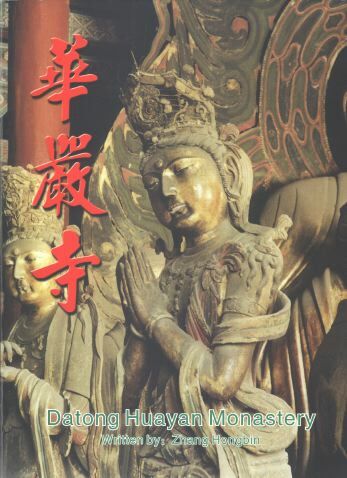 And secondly the Beiwudang Temple Fair which is held in October. How to Get There: Take a Bus from the Station or Rent a Taxi. The Beiwudang Temple stands at about 10 minutes driving away from the Central District of Dawukou. The above mentioned sites are the famous monuments, popular scenic spot and tourist attraction of the Shizuishan and Region. There are however several more worthwhile places to visit which are rarely mentioned in mainstream tourist guides. Many of these landmarks and Scenic Spots in the vicinity are the same as those that can be reached from Yinchuan. These are the Western Xia Tombs (Yinchuan), the Helan Shan and Helan Pass with its Petroglyphs or Rock Carvings, the various sections of the Great Wall in Ningxia, and more. To Find out about these, please see: 'Landmarks, Monuments & Scenic Spots of Yinchuan'. The Town of Dawukou, the administrative seat on the other hand has no historical landmarks in town, but is famous for two sections of the Great Wall of China: the Jiucai Pass Wall and a section further south atop the ridges of Helan Shan known as DashuiGou or the 'Western Great Wall' for its location. This latter section is also mythically identified as the 'Alexander the Great' section, or the 'Helan Summer Ditch' relating it to a nearby Han Dynasty City & its ruins. The most visited section is Jiucai Pass also simply known as Dawukou Great Wall. 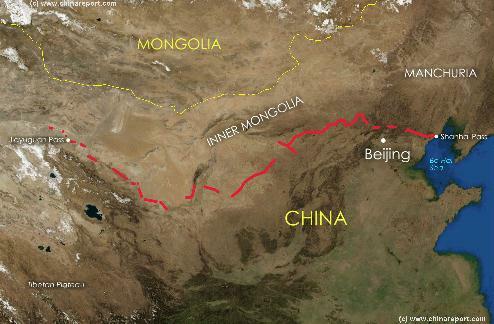 Not mentioned in travel guides nor books is the so-called 'Northern Great Wall' which functioned as the blocking section of the Wall, the 'front' built to fill the Gap between Helan Shan on the left flank, and the Huang He (Yellow River) on the right flank. This 'Northern Great Wall' stand immediatly North of Dawukou District and runs North along the Town in the direction of the Great River. More to the South but North of Dawukou stand the Carving Towers of the Western Xia Dynasty at Laoba and nearby and North of both Great Wall sections near Dawukou lies the Jade Lake scenic spot. A final attraction of this North Corner of Ningxia lies far to the North along Provincial Road S 301 out of Dawukou. Just East of the Road near the border with Inner-Mongolia stand the Carving Towers of the Western Xia (Dynasty) at Zaozigou. The Sha Hu - Sand Lake lies due South of Dawukou on the border with Yinchuan City Prefecture. The so called Neolithic Site of Gaoren Town can be found in the extreme south-east corner of Shizuishan City Prefecture. It is a site of great importance to the study of pre-historic civilizations in the region, equalling the Helan Shan Stone Carvings in signifance. Shizuishan is the Northern-most City Prefecture in Ningxia Hui Autonomous Region of China. The City is located on the West bank of the Yellow River, some 60 kilometers North of Yinchuan - the regional Capital, and lies at the foothills of the Helan Shan Mountain Range. Shizuishan is the second largest city in Ningxia Autonomous Region and counts 2 districts; Dawukou - the administrative seat, Huinong - which is in fact the largest Urban Center; and 1 county, that of Pingluo Town. The City itself is focussed on the Town or Urban District of Dawukou, which lies only a few kilometers South of the Inner-Mongolia Border. Nearby to the South-West lies Pingluo another farming town turned into 'City District'. A Third Town or district is Huinong which is located quite a few kilometers to the North on the Yellow River West Bank and the Inner-Mongolia Border. Historically Shizuishan is mainly known for its nearby location of the Great Wall of China, the so called Jiucaikou and/or Dawukou Great Wall of China. The main district of Shizuishan Prefecture is Dawukou. Dawukou Town is wedged between the Mountains and the Yellow River it sits at a very strategic point in the ring of Natural Defenses surrounding (and in fact delineating) the Ningxia Region. Then only way into Ningxia (from the North and Inner-Mongolia) leads either through the Plain-which was well guarded and fortified, or through a narrow pass cutting nearby through the Helan Range. This pass lies north-West out of Town today is mentioned as Jiucaigou and its Great Wall. past it was a collection of farming villages. Since the opening of the Baotou to Lanzhou Railway in 1958 AD, the region has developed a mining industry, some related heavy industries and chemical industries. Today many are located in or near Shizuishan and Yinchuan. Shizuishan is blessed with many of the resources that are found throughout Ningxia, especially Coal. Shizuishan is especially rich in Forests, which cover some 26% of the city prefectures surface area. The Town of Pingluo has an old drumtower (gulou) and is the location of the Yuhuang Pavilion. This historical relic however is by no means identical to the one in Yinchuan but is the largest Taoist Temple in Ningxia dating to the Ming Dynasty (1368 AD - 1644 AD) era and includes a Standing Stone Pagoda. During the fourth and fifth lunar months, an annual grand temple fair is held which attracts a lot of visitors. How to get There: Pingluo lies at only a short distance from the Dawukou District (Shuizishan). The mutual Train Station (Main Train Station of Shizuishan Dawukou District) stands roughly halfway between the two urban centers. Pingluo is smaller than Dawukou 'District' and is merely a farming Town. The Drum Tower (Gulou) of Pingluo stands at the center of Town. As in many small & large Chinese cities, the town was built around its ancient Time-Keeper. The Yuhuang Pavilion and Taoist Temple stands immediatly North of the Drum Tower amidst its own Park and is the easiest to find. Go to Hanlin Street (Avenue) and follow it north to YuhuangGe. After visiting the Temple, leave the Park through the East Gate which lands one at Drum Tower North Street (Gulou Bei Dajie'). Follow the street southward to end up at the Gulou for a proper inspection. Most Main Hotels are at or near the Drum Tower, as is the main commercial street known as Pingluo Commerce 'Buxi' Street leading Eastward away from the Drum Tower. The Only other landmarks in Town are the People's Government 'Town Hall' building which stands due North of the Drum Tower, and East off Drum Tower North Street on Renmin Dong Dajie' (Renmin Xi Dajie'). It is hardly worth the visit.